About the third fruit, the quinces that grew on a large bush next to the driveway, nobody ever said anything assuring like that. The quinces were weird. We didn’t know what to make of them, figuratively or literally. Did people eat them? They could have come from space. In fact on Sesame Street there used to be a skit that involved two aliens. They couldn’t reach the fruit on their planet’s fruit trees. One alien was too short, the other couldn’t bend its arms. When that came on I would glance outside at our quince bush. Extraterrestrial nectarines: that’s what they looked like. Beautiful, I realize now. Like a cross between a lemon and pear. (They symbolize fertility.) In the street-view picture, the quince bush was still there, but in the satellite view, taken five years later, you can see it’s been mowed to the ground. In the grass where it was there’s a pale, almost perfect circle. I hadn’t thought of the quince bush for a couple of decades until I visited an old friend in LA last year, one I’d kept in contact with but hadn’t seen in several years. I’d flown into town that afternoon and was supposed to leave at dawn—it was one of those situations where it made no sense to go to sleep. You’d just be torturing yourself. Kevin West: a friend from college. We were in his apartment in Koreatown, a nice pad with a view of the city lights, though noticeably smaller than his old place in Laurel Canyon. He’d recently downsized his life. He had a bottle of good rye whiskey and some olives. At one point he was explaining to me that all modern fruit preserving, in cans and jars, descends from a discovery the Romans made—that if you cooked the otherwise inedible quince in honey and sealed it in jars, it became sweet and made excellent jam. Quince in honey, as a preserve, spread all over the world. The Portuguese called it marmelada. Marmalade. Kevin showed up at our small school in Tennessee as a junior, seeming somehow older. He’d spent the preceding couple of years at Deep Springs, the college out West where you grow your own food and herd cattle on horseback while debating Aristotle. Before that he’d grown up in an actual holler, in East Tennessee, where his family had been settled for nearly 150 years. His self-described “flower child” mother nurtured his love of books and shells. But he had a fashion thing going, too. In my first memory-image of him, he’s walking across the quad in safari shorts and a purple neckerchief, his hair as it remains, full-bodied butterscotch. Carrying some kind of satchel. He drove a tiny yellow diesel car and could roll a cigarette with one hand, pouch to flame. Within days one of the wittier campus wags had dubbed him the Jolly Rancher. But meeting him, the word pretentious never entered my head. He was too clearly doing Kevin, both doing and inventing him. Two paths were open when he graduated—studying classical languages at Berkeley, or becoming an assistant at Vogue. He chose the latter and moved to New York, soon getting hired at W magazine, where he became their Paris editor. For years you’d talk to him on the phone and he’d just have come back from staying on an island with models somewhere. He partied on separate instances with Prince Charles and Puffy (in the latter case somehow smuggling in a bunch of fellow Deep Springs alums dressed like hippie hobos—the woman at the rope looked dubious until Tom Ford appeared in a velvet jacket and swept them all inside). Hearing his stories, I always pictured old Alfa Romeo Spiders like the one in Contempt. “Swimming swimming, sun golden,” was Kevin’s characteristically gerundive description of these lost weekends. I won’t lie, it was strange to imagine him out there among the pretty people. Not that he didn’t belong, couldn’t pull it off, but when I knew him best, he was a bookish person. That’s how we connected. A mutual friend of ours talked about finding him in the quad one day in tears because a professor was inside “destroying” one of his favorite books. He’d been compelled to run out of the room. When we talked, it was mostly about Shakespeare’s sonnet sequence, which he was obsessed with in those days. He had a hopeless confused crush on a beautiful lesbian woman. How was that Kevin surviving the inevitable moral obscenities of the ultra rich? It was impossible not to suspect that the old scholar/seeker/cowboy person was getting… not bored, but restless. It wasn’t east Tennessee he missed, anyway. Not the physical place, in other words. It was something about the life he’d known there, the feeling of your everyday reality being in sync with the natural world in a way that went beyond daytime/nighttime. He found himself thinking a lot about his grandparents’ farm. His grandmother had been “a pretty active preserver,” he said, meaning of fruits and meat but more than that, too. “She wouldn’t have thought of herself this way,” he said. “Part of farm life was ‘putting up’ food.” She had a pantry full of hams and bacon. “That part of Tennessee didn’t get electricity till the forties,” he said, “so within living memory you had a food culture that went back to the pre-industrial age.” He had nice memories of his grandmother’s pickled beets. “Fourteen-day pickles—a fermented pickle. Also, she made this strawberry freezer jam that was really delicious.” The canning and jarring moved with the seasons, and within the seasons—you had to pick the fruits and berries at the right time. Every batch was a new little chemistry experiment. Things could go wrong. You were always monitoring some jar in the kitchen, observing its changes. It gave the whole house a clock to go by. One day Kevin was getting ready to have people over for dinner—this was about four years ago—and wanted to serve strawberries for dessert. He drove to the Santa Monica farmers’ market and bought a giant flat of ripe strawberries, ten pounds, many times beyond what his guests would eat. 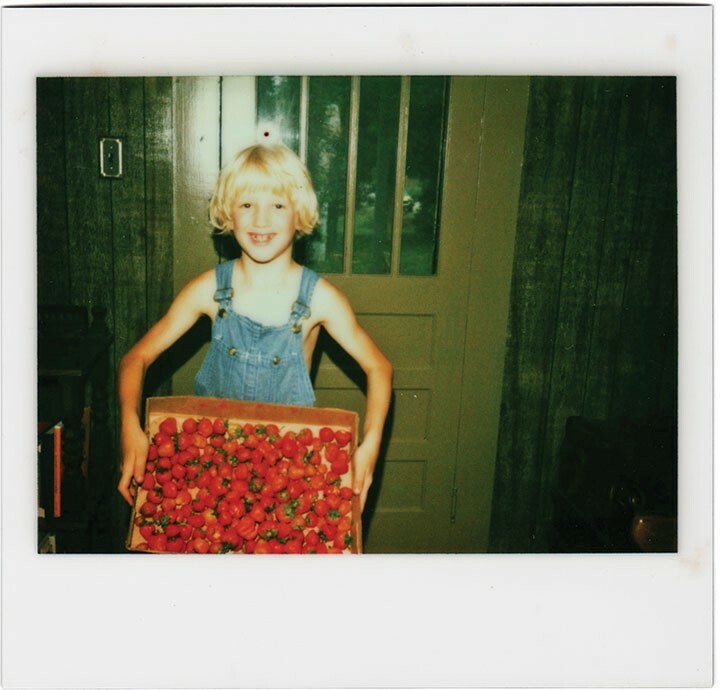 At home he looked down at these beautiful berries, realizing with that sort of animistic empathy a child can feel for nonanimal objects that half of them would probably go to rot, and he thought for the first time in many years about the strawberry jam. Waking up the next day, hungover, he started trying to make it. Called home for help with the recipe. Cooked the fruit in sugar. If he could make it taste as good as hers had, recreate the flavor and texture, that would be to carry forward that old life, bringing it into his world. A thread of connection. So he felt. He visited libraries to read old recipe books. He took a cooking-chemistry class, at one point, to know more about what was happening to the fruits and vegetables at the molecular level. He connected with other fixated types out in the world of new-primitive preserving. Mainly, though, he was spending hundreds of hours alone in the kitchen experimenting. I would get e-mails from him about his struggles. Jellies were “temperamental,” he wrote. They were like young sopranos singing arias: you had to sit there hoping they wouldn’t crack. Especially if you didn’t use the commercial pectin, which he avoided, preferring to rely on the fruits themselves for their natural supply. But working that way it was “easy to end up with syrup—that’s a failure.” He made jams, jellies, and other concoctions out of beach plums, cardoons, cushaw, damsons, eggs, elderberries, fennel, horseradish, huckleberries, limettas, medlars, mulberries, and nasturtium pods. He preserved quince: under the guidance of Oregon pickle-jam guru Linda Ziedrich, he made a syrup of quince, not a disaster-accident syrup but a deliberate one, flavored with rose geranium. It seemed on one level like the kind of life phase your friends go through where you say things like, “Is it making them happy? ’Cause that’s all I care about.” But over time it grew clear that something deeper was going on. My wife had a student once, in North Carolina, who went off one spring break to intern on a movie set, and in the midst of it the whole department got a very short e-mail from him that read, “Found my passion y’all.” That’s what had happened. 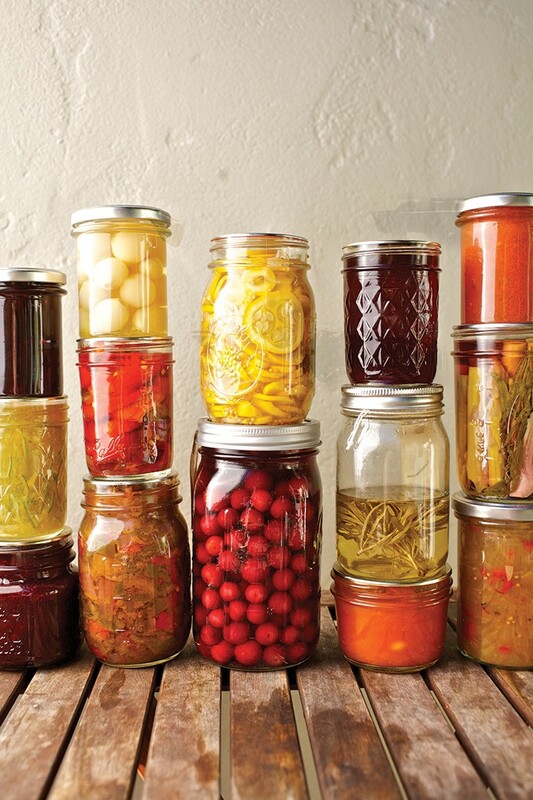 Kevin has written a book about all of it, called Saving the Season: A Cook’s Guide to Home Canning, Pickling, and Preserving, to be published this summer by Knopf. Part cookbook, part manifesto, and part crypto-memoir, it’s literate and lyrical and fanatically well researched. Also probably quite useful, if you’re into home preserving or want to be. Even if you’re not, though, it’s the kind of cookbook you can read for pleasure. Me, for instance—I can’t see doing any canning or jarring anytime soon. I want to, I feel the appeal, but a person should know his limitations, and when you grew up on Pillsbury toaster strudel, for breakfast and sometimes lunch (what the hell), even the simple stages of cooking with sugar, sealing the lid, et cetera, can present real obstacles. Even I was able to enjoy the book. It has more than 200 recipes but is shot through with little essays, too—about preserving, food gathering, gardening, family, and what it means to find a second act. I ordered a couple of boxes of Kevin’s jams and pickles, which he sells and barters in low quantities. Just having them has exerted an effect on the vibe of our kitchen and by extension the rest of the house. They’re like little jars of distilled sunlight, sitting there on the table. Through them I discovered the beauty of really good jam, namely that if you put it on toast—most difficult to ruin of all human foods—suddenly, almost without meaning to, you’ve started your day off well, with a little moment of flavor worth lingering over. My mother visited and ate some of Kevin’s Scotch marmalade, saying it gave her strong Kentucky-childhood flashbacks. Boysen tried to make a go of his berry. He even started filling out a patent application. He suffered a freak accident, however—fell fifteen feet and broke his back. The farm on which he’d developed the berry got sold. His berry beds all but disappeared under weeds. Only years later did he receive a visit from two men, one of whom was Walter Knott, of Knott’s Berry Farm. They’d heard about Boysen’s berry from other farmers who’d tasted it, and wanted to try it themselves. He led them out to the old field, where they were able to salvage a few vines for transplant. Now Boysen’s berries were on my table, in some form, or used to be. While the jar lasted, it seemed expressive of something—that what’s old doesn’t need to be old-fashioned. It gets reborn. And with patience and skill you can capture it. You can arrest it. Seven articles from Lucky Peach were nominated for James Beard awards this year. We are posting all of them this week for your reading pleasure. The above article originally appeared in the Travel Issue of Lucky Peach, a quarterly journal of food and writing. If you loved this — or even just strongly liked it — why not subscribe to the magazine? At least visit our website or follow us on Facebook and Twitter. John Jeremiah Sullivan is a contributing writer to the New York Times Magazine and the author most recently of Pulphead: Essays. He lives in Wilmington, North Carolina, with his wife and daughters. Seven pieces from Lucky Peach that were nominated for James Beard Books, Broadcast, and Journalism Awards this year.